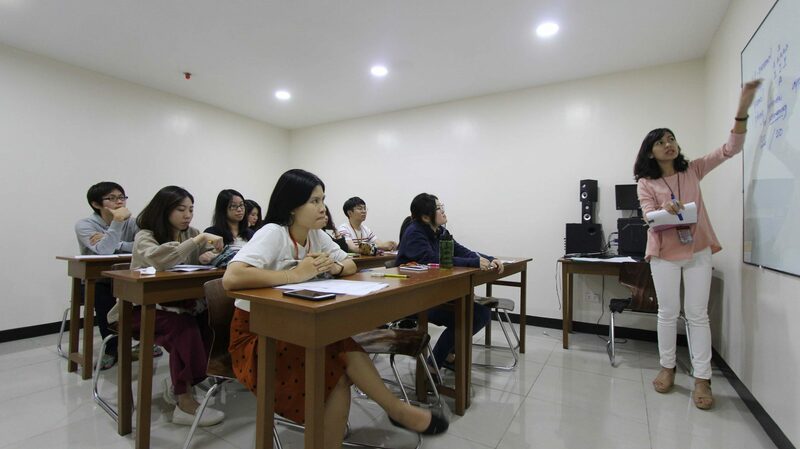 Learning English in Pines Academy is guaranteed to be continuous and productive.The English language institution also aims at making students learn as much as they can during the duration of their stay through the morning and evening study program. 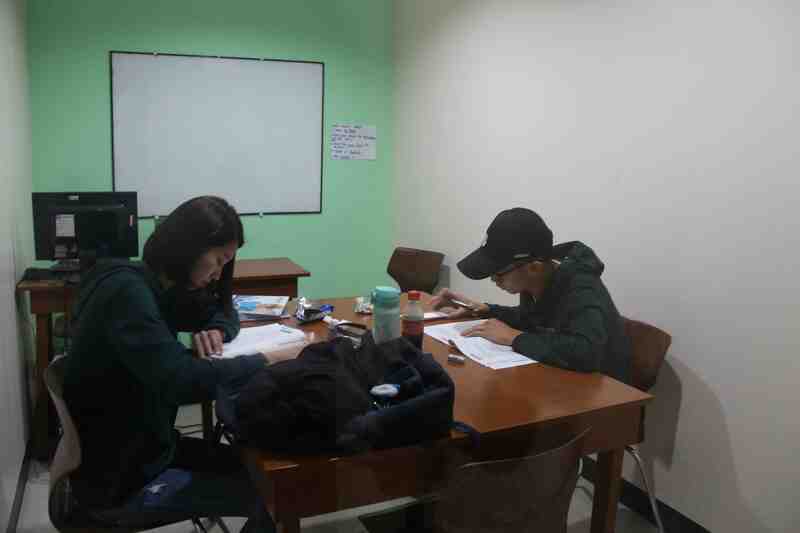 The morning classes and the evening study program provides an avenue for “early birds” (students who want to study before or after their breakfast) and “night owls” (students who want to study after dinner) to make progress in learning English during their available time before and after their regular classes. The program takes into account that these crucial hours are not to be wasted for other activities except learning. The program is designed to make students’ free time productive and fun. The classes create an engaging and fun environment where students can apply their knowledge practically. The methods used in the classes promote collaborative, reflective, and experiential learning. 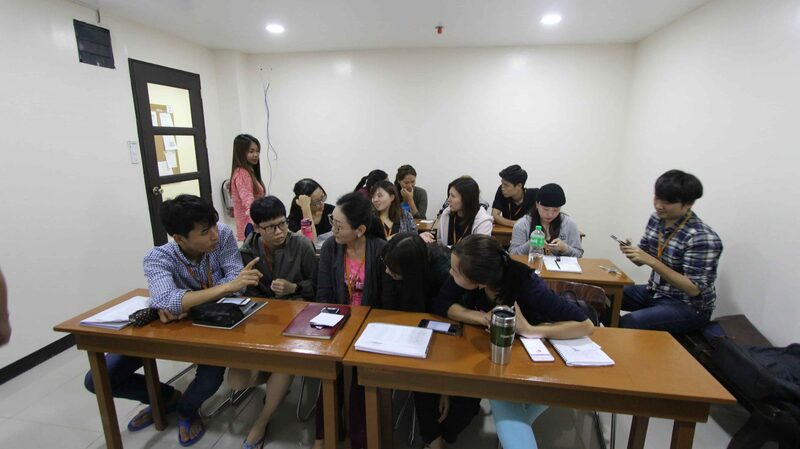 Students of different levels are combined in a class which fosters a competitive but friendly atmosphere which also encourages intercultural communication. The program generates guided learning with the help of the skilled and hard-working teachers in the program. The program offers classes that are different from but equally important to the regular classes. Each class has a specialized curriculum that caters to the specific needs of the enlisted students. The morning classes are from 7:10 to 8:00 am. The evening study program is from 8:00 to 10:30 pm. Classes are free of charge. Motto: Start your day right, be an early bird! Listening and Speaking – Listen well to speak better! Passages are about everyday situations like being stuck in traffic, talking to your boss, hanging out with friends, etc. Listening and Dictation – Get good scores in taking dictation! Class activities include partial and full dictation. Motto: Don’t waste your time, be a night owl! Watch Up! – Confidently watch English movies without subtitles! 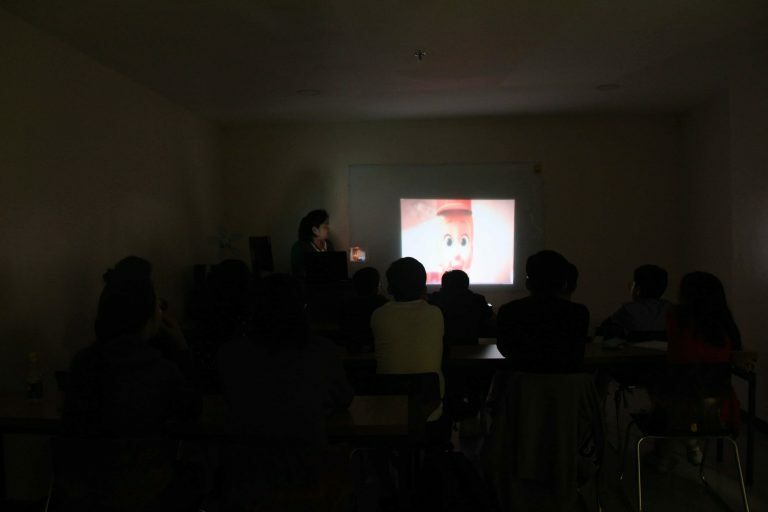 Uses movie and TV show clips as audio-visual materials. Power Speaking – Speak English like a pro! Job Application 101 – Land any job anywhere in the world! Vocabulary Master – Master as many English words as you can! Master English words through lectures, writing sentences and dialogues, and spelling tests. Practical English – Know what to ask, know what to say! Learn about patterns and expressions used in real life situations like making a hotel reservation, booking a ticket, bargaining in the market, etc. 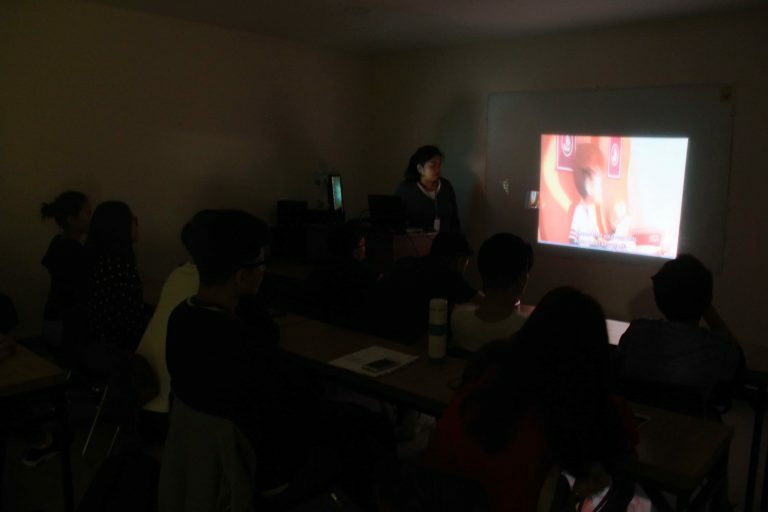 Class activities include a lot of simulated speaking exercises using the patterns and expressions learned in the lectures. Intensive Listening – Understand what you hear, intensify your listening! Listening passages include TED Talks, CNN, BBC, and CBS files, mini-documentaries, trendy videos from YouTube and Facebook. 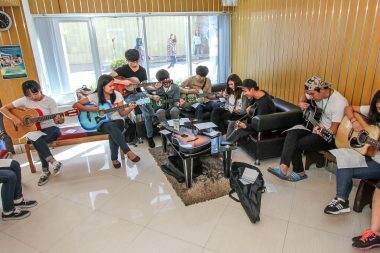 Guitar Class – Chill out with a purpose, learn English through music! Basic Grammar (for Korean and Japanese students only) – Know your grammar! Music & Dictation – An awesome way to start the day is listen to popular English songs. While working on their listening skill, students learn useful words and expressions through the lyrics. Video Dictation – This is a head start class for students who need more listening dictation and comprehension activities using audio-visual materials. Pronunciation Class – Challenging and interesting drills are provided for students to improve on their pronunciation and American accent. Webmaster – By equipping students with relevant and appropriate business vocabularies and expressions, this class aims to prepare students before entering the business world. 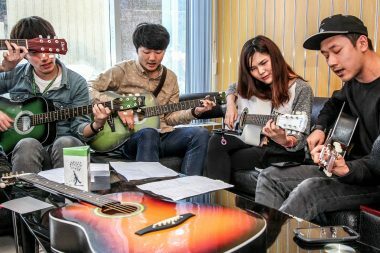 Guitar & Pop Songs – Music enthusiasts who want to learn English through music can greatly benefit from this fun and stress-relieving class. The class has to have at least 5 students to be opened. Monitored/ Required Self Study – Students who need to study alone are given three hours with the guidance of an experienced teacher who monitors, facilitates, and answers questions that arise.